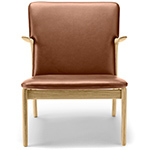 Hans J. Wegner (1914-) is one of the architects and designers who made Danish Design world famous. 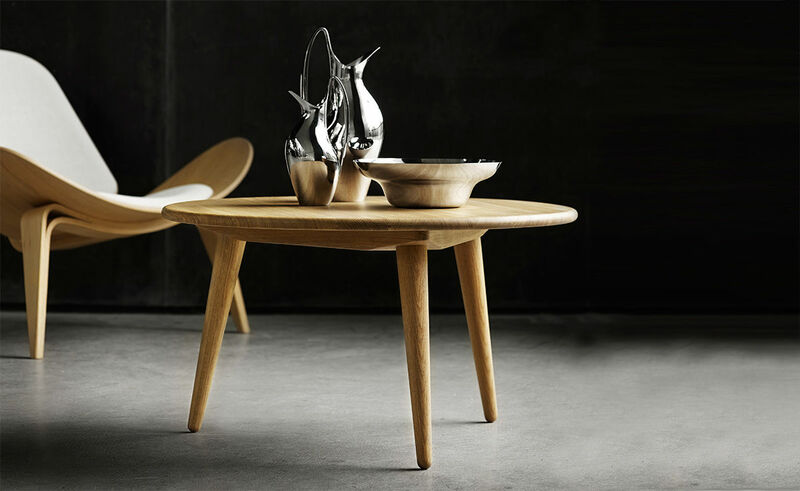 Wegner inscribes his name in the history of design first and foremost via a range of tables and chairs which are without predecessors in furniture design, yet stand in their own right as the most natural thing in the world, inevitable like new letters in the alphabet. 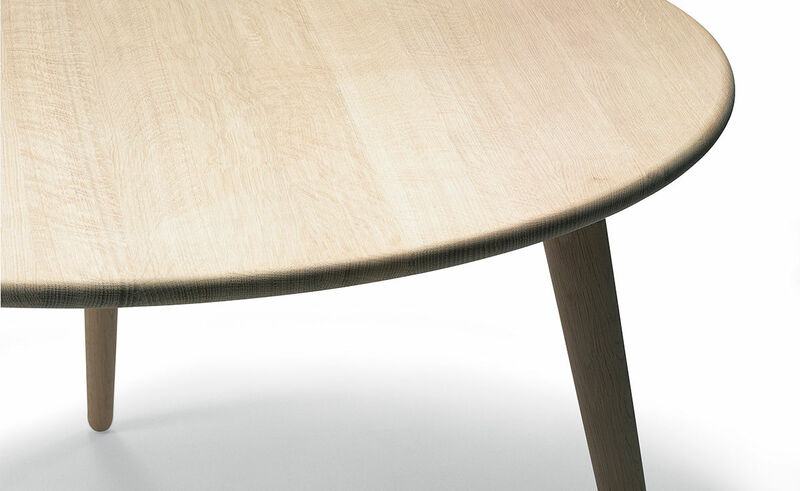 The simple and elegant CH008 table embodies Wegner's ideology and spirit for simplicity. 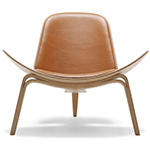 Wegner, with his unique understanding of wood, its possibilities and limitations, created many designs each with its own personality yet in a consistent language. 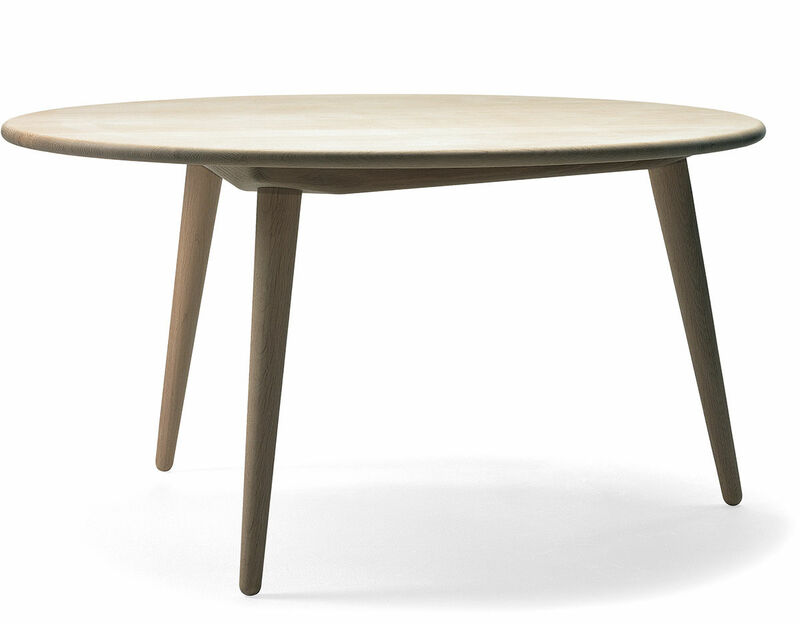 The CH008 is a modern classic, a perfect coffee/cocktail table to combine with the CH07 lounge. 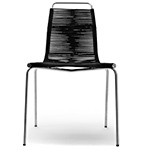 CH008 is available in various sizes, wood types & finish options. 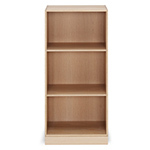 The quick-ship models are offered in oak with a 34.6" dia. 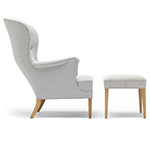 top in 3 height options. 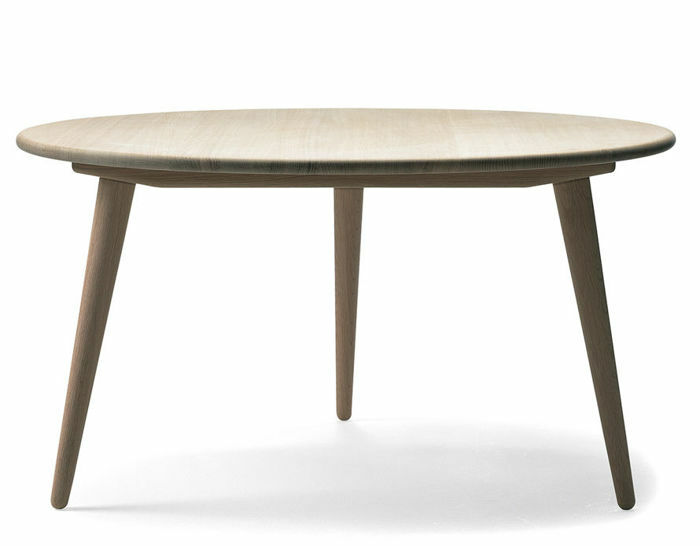 Each table top and base is made from solid wood. 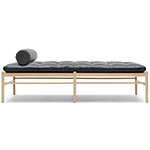 $2,285.00 + free shipping in the continental U.S.